Fluorescence Microscope irradiates objective with a wavelength of ultraviolet radiation (sightless) as light source to bring sighted fluorescence after it is blazed. 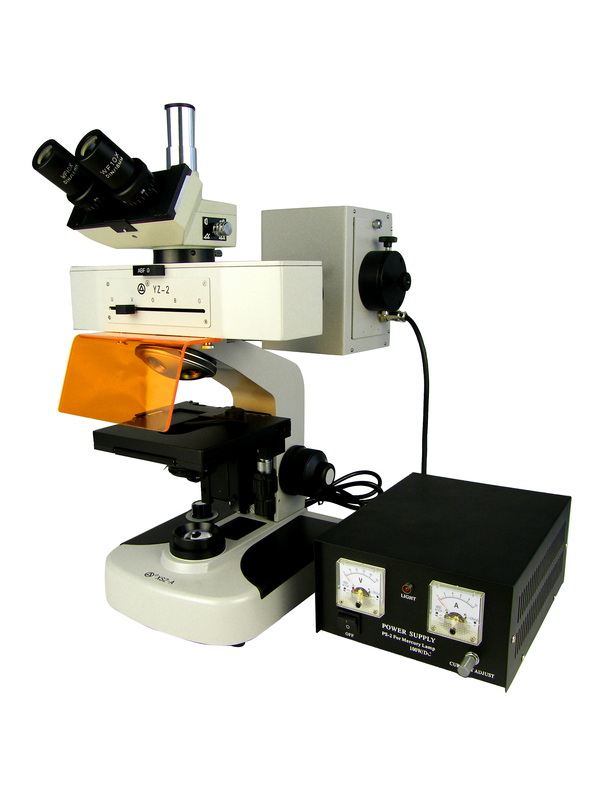 After then, it will do inspection of lens by Microscope imaging system to magnify. It can do fluorescence Micro-appraisal in Biological organization、physiology pathology、Animalcule、Curative、Foodstuff、Chemical and so on. It is important instrument in Biology and Medicine.